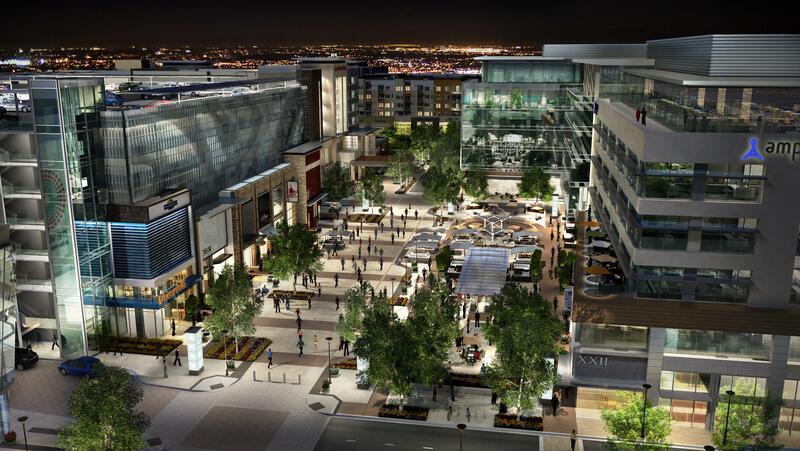 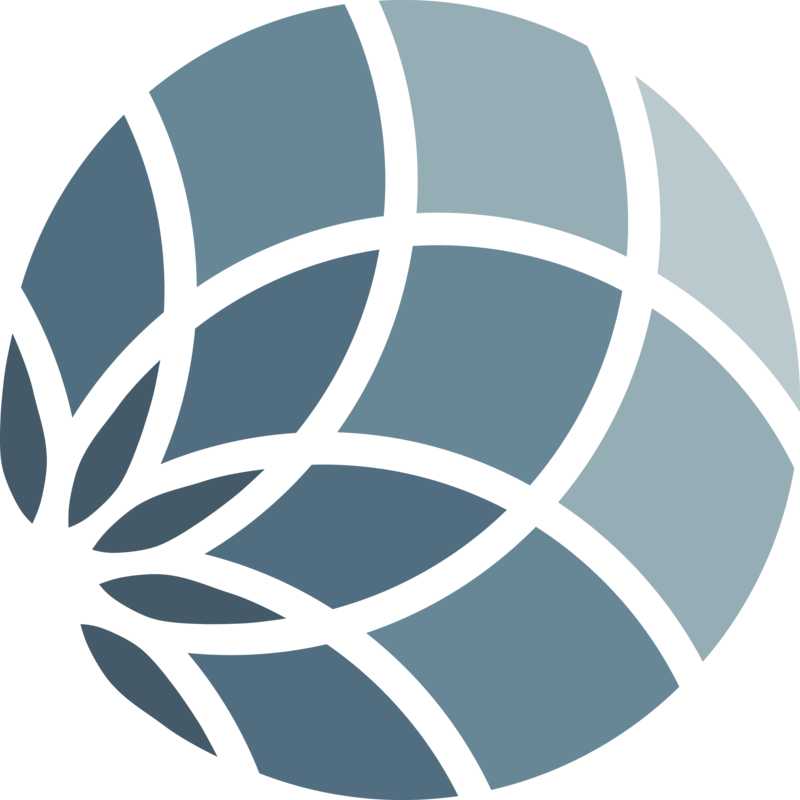 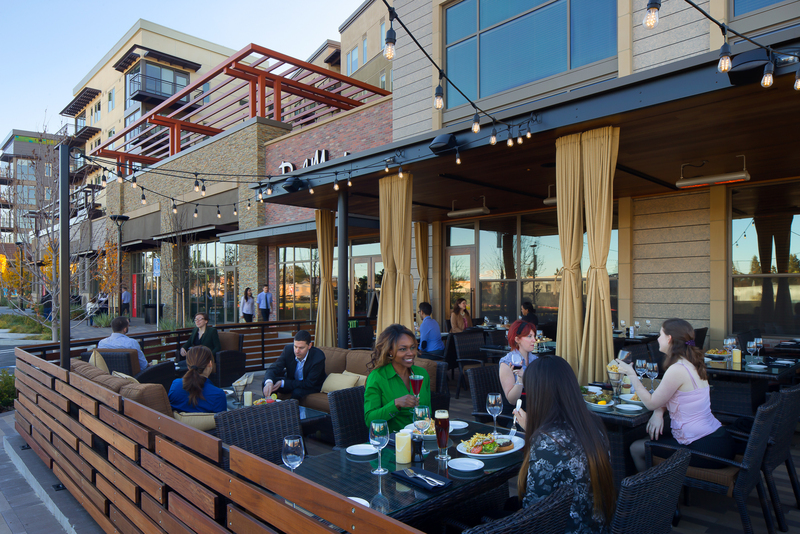 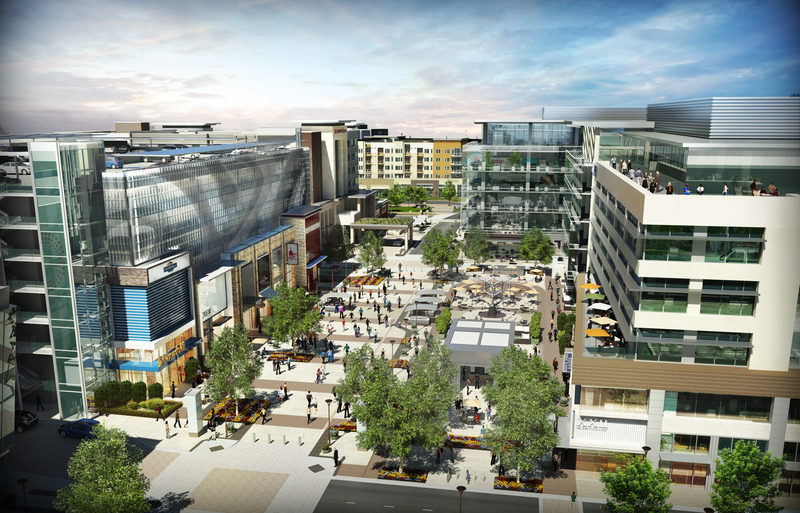 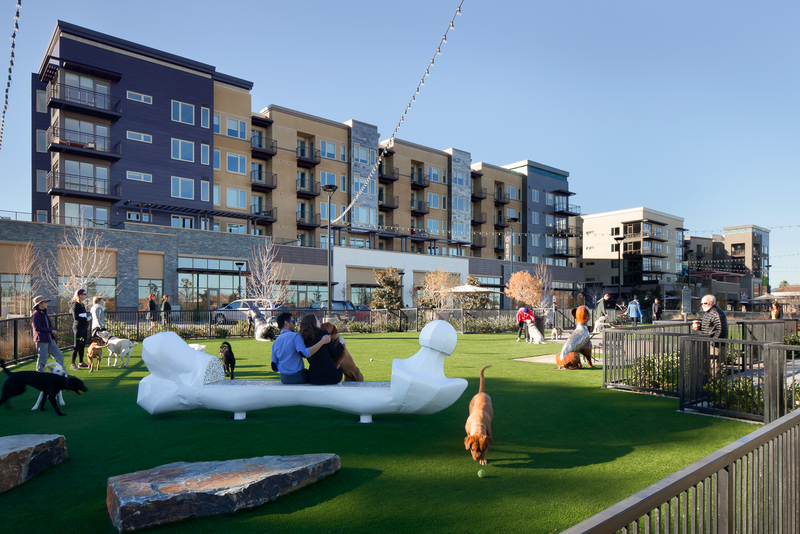 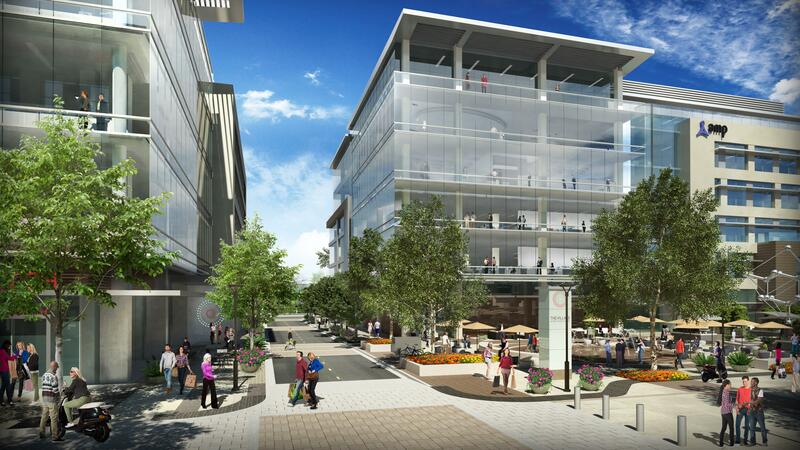 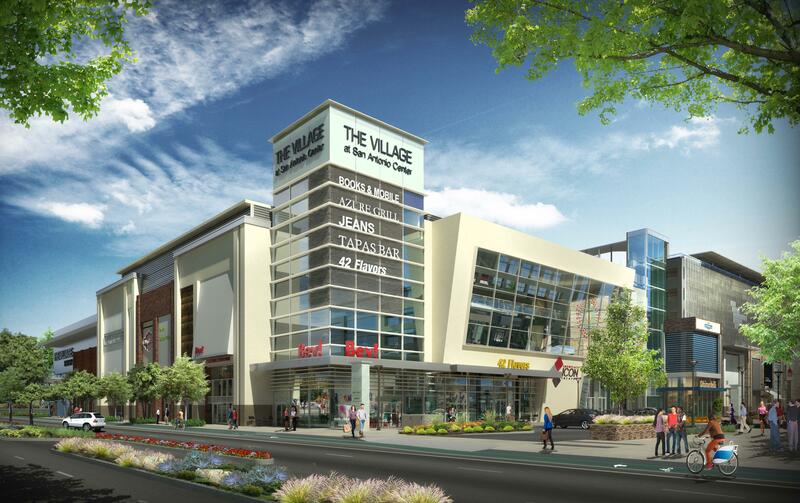 The Village at San Antonio Center is a 16 acre mixed-use development located in Mountain View, California. 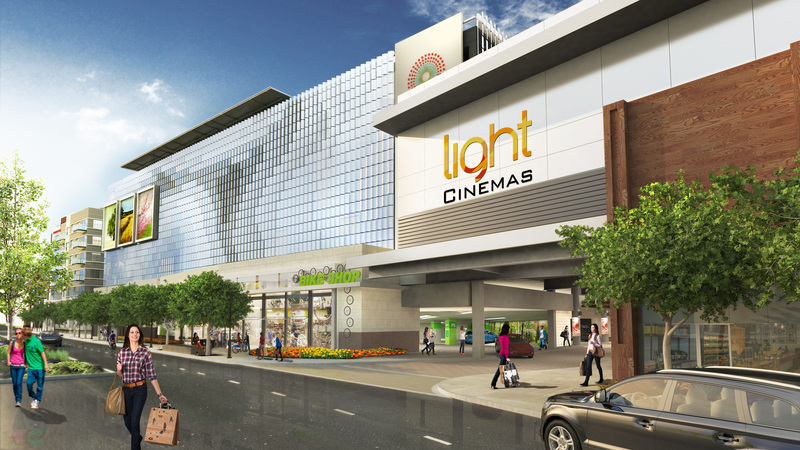 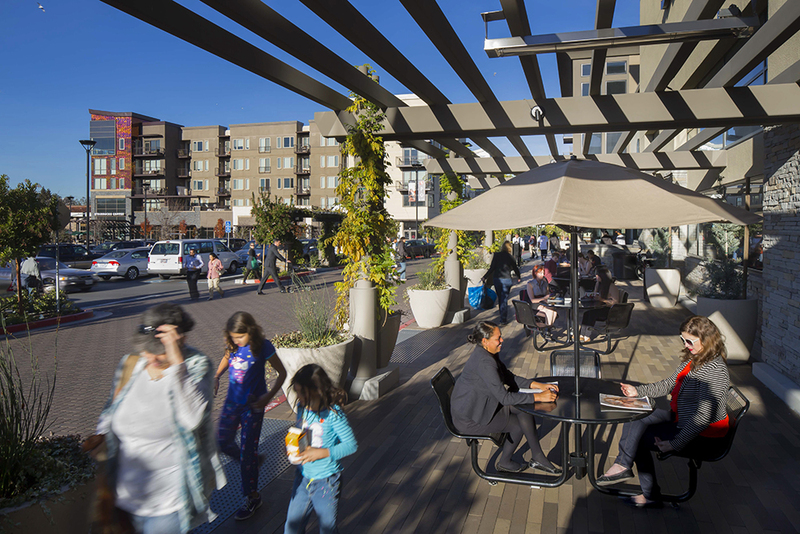 The site plan focuses on a pedestrian spine which connects retail, a grocery store, a multi-use park and community plazas with residential living. 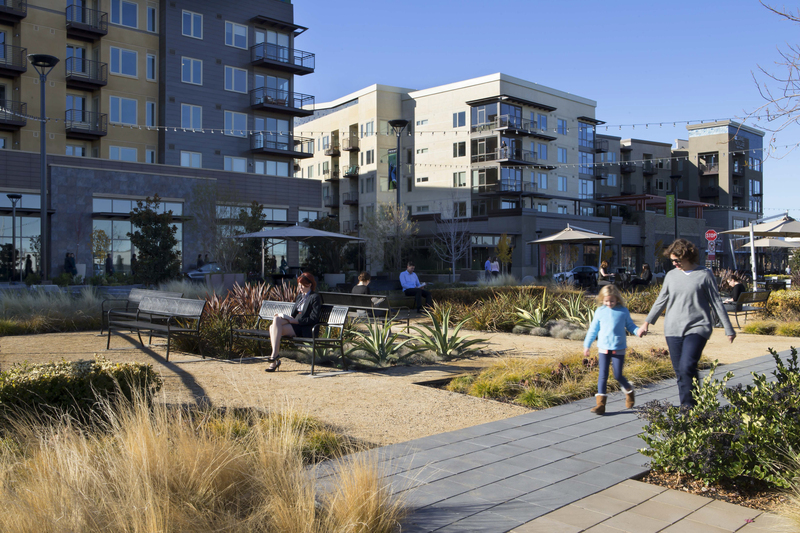 The park aptly named ‘The Hetch Hetchy’ in namesake of the aqueduct pipes that run under it, offers casual seating areas, a dog park and open gathering spaces which host special events such as movie nights and a farmers market. 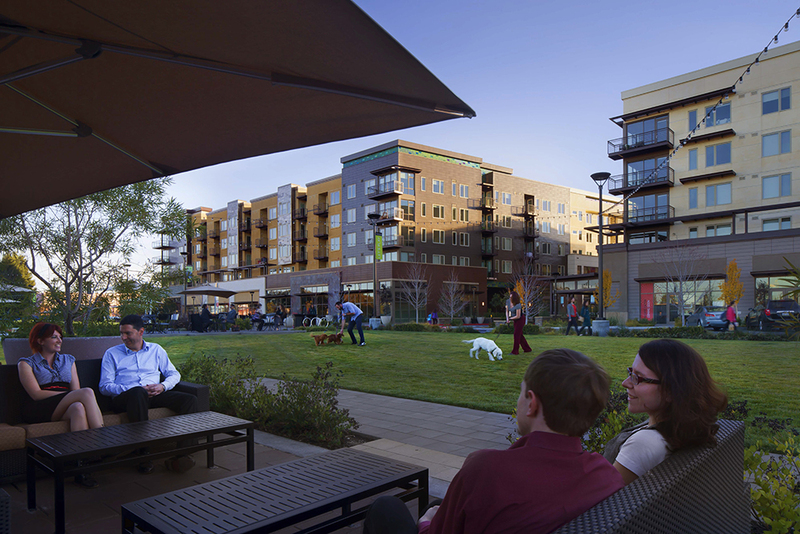 A large urban plaza adjacent the office buildings features an interactive pop-jet fountain, a celebratory monument to the “birth place” of Silicon Valley and a “jewel” structure for food vendors and outdoors dining.